When I met Ashok Khanna about 15 years ago, there was an immediate connection between us. At that time, he had just opened his resort, which later became the first Healing Legacy Resort in the World, in the foothills of the Indian Himalayas. We shared more than just a professional interest in healing. There was a common understanding about the holistic philosophy of Vedanta and the practice of Yoga and meditation. This was before me and my partner founded the global brand Healing Hotels of the World. We visited the Ananda immediately after we met Ashok for the first time in Berlin and were overwhelmed with what we experienced there. Someone had actually built what we had been dreaming of for many years. The awe-moment was so distinctively different from the awe-some we are used to. Here was someone who had put the dream into reality and built a resort in a next to impossible place on this planet earth. And it was divine. Mr. Khanna’s vision was a moonshot at the time he created it, because in the late 90ties meditation and Yoga was taught in alternative places. Ashok is a descendant of the legendary Oberoi family. He was raised and trained in luxury hospitality but there was something more he wanted to achieve. In the late sixties his grandmother sent him to an Ashram in India, which back then was a common practice for young men from the upper class in order to get acquainted with the ancient Indian spiritual tradition. That is where he met his meditation master. The time he spent there made a huge imprint and he still carries a photo of his master with him today. His master used to say, “Life has no boundaries”. 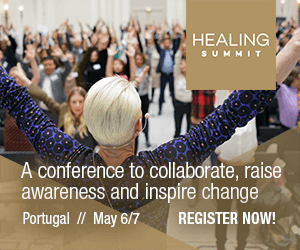 The Ananda is the first and only member of the prestigious global brand Healing Hotels of the World that has reached the „Legacy“ level, which is the highest level you can achieve. The Healing Legacy Resort is located at a height of 1000 meters above sea level. The weather is mild throughout the year, in summer as well as in winter. The monsoons are especially breathtaking (June to September) with clouds at eye level. These clouds enter your room if your window is left open. It is extremely romantic. The river Ganges is used all over India for religious purposes such as the washing of statues of gods and for prayers. 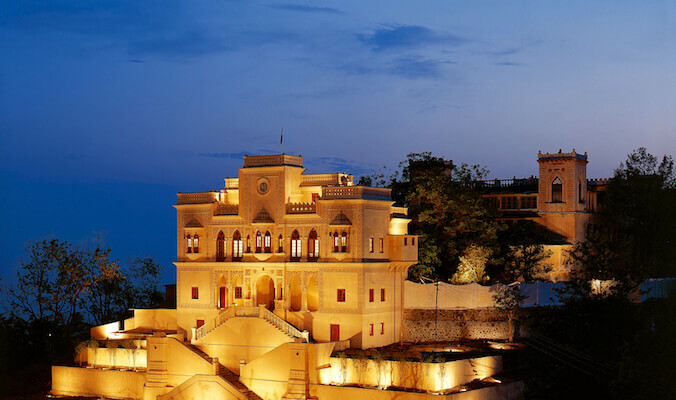 At Ananda you stay at the Palace of the Maharaja of Tehri Garhwal, which was built in the early 19th century. A part of the palace is still used by the Maharaja when he is in residence. It overlooks the holy city of Rishikesh and the river Ganges which flows right through India providing water for irrigation and drinking to millions of people. It starts in Gangotri, which is in the extreme north of India and joins the sea in Bengal. The water of the Ganges river is very high in mineral content and therefore does not develop any smell or get spoilt for many years. The staff are one of our greatest assets.